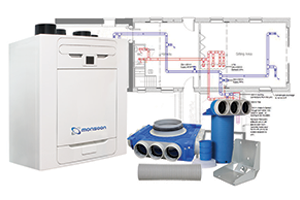 National Ventilation is one of the leading manufacturers and suppliers of ventilation solutions. We have one of the biggest and most diverse range of ventilation products in the UK specialising in innovative, energy-saving ventilation products that can accommodate domestic, commercial and industrial applications. With 25 years of industry experience, we fully understand the diverse electrical wholesale market. 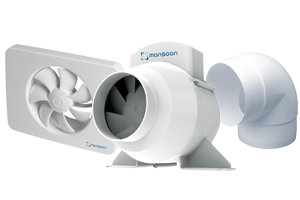 We work exclusively with electrical wholesalers, supplying you with the superior ‘Monsoon’ brand of products and offering you our full support when you need to specify ventilation systems. We offer a FREE ventilation design service through our dedicated design team that can provide full ventilation designs and site visits. We are also able to offer ventilation training on fans and systems. We not only supply ventilation products, but we also have the knowledge to support electrical wholesalers in completing their projects on-time and on-budget. Call us on 01823 690290 to find out more! Tip Seven: Commission the system to check the airflow. 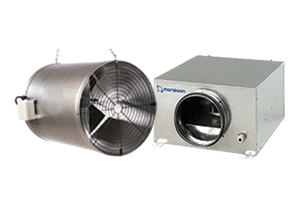 Find out more about our wide range of ventilation products. Download the full National Ventilation product brochure here.